The vessel has two sets of sails, all of which are in storage, and therefore not photographed. A fantastic opportunity to purchase a very original, and well-maintained Skutsje. The vessel is still rigged for sailing with two sets of sails, stainless steel standing rigging and manila rope running rigging. A recent survey carried out in April 2018 reported the hull to be in good condition with some minor repairs recommended, which were carried out by the present owner. The vessel's electrical system has been extensively modernized with Victron battery management, solar panels, and inverter. The cozy saloon has decent headroom for a barge of this type, with a beautiful barreled deckhead, and compact galley and handcrafted storage lockers. The main cabin features a double bunk and a single bunk with the opportunity to rearrange the layout to provide greater storage space. Further forward is a cabin/storage area with two bunks and has been listed as crew quarters, accessible through a top hatch or crawl-space from the main cabin. Currently, there is no hot water system onboard, but the installation of a calorifier is certainly possible. All the sails and other miscellaneous items are currently in storage. 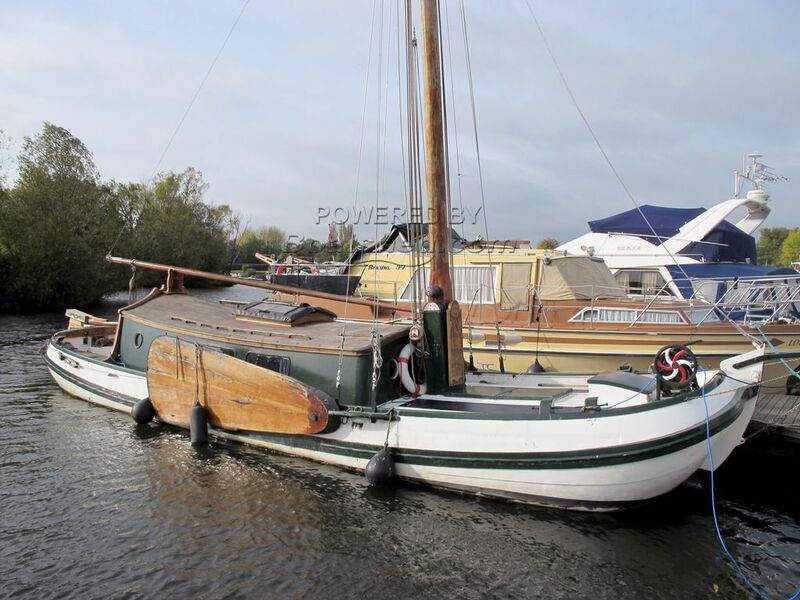 This Dutch Barge Skutsje 42ft has been personally photographed and viewed by Ben Evans of Boatshed Thames. Click here for contact details. Please note this comments section is public. Please do not post your personal details here. To enquire about purchasing this boat, please contact the broker directly at benevans@boatshed.com. Please read our commenting guidelines before posting.